• Under the Further and Higher Education Act 1992, the Privy Council is responsible for approving the use of the word ‘university’ (including ‘university college’). Prior to 2005, there was an additional requirement of research degree awarding powers. • Institutions may also obtain approval for the use of the word ‘university’ in their names under the provisions of the Companies Act 2006. Since 2005, institutions that have taught degree awarding powers and at least 4 000 full-time equivalent students, of whom at least 3 000 are registered on degree (including Foundation Degree) level courses have also been permitted to apply to use the title ‘university’. Following on from the proposals set out in the White Paper Higher Education: Students at the Heart of the System (BIS, 2011), the requirement was reduced to 1 000 full-time students and subsequently, in 2012/13 ten long-established specialist institutions, which were mainly former arts, agricultural or teacher training colleges, gained university title. Institutions that award taught degrees but which do not meet the numerical criteria for university title may apply to use the title ‘university college’, although not all choose to do so. A higher education institution (HEI) is defined as i) a university, or ii) an institution conducted by a higher education corporation, or iii) a institution designated as eligible to receive support from funds administered by the Higher Education Funding Council for England (HEFCE) (aside from Further Education Colleges, which are defined below). 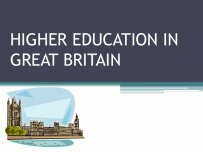 At present, all English HEIs with the exception of the University of Buckingham and the University of Law receive support from funds administered by HEFCE and are listed here. HEFCE directly funds 128 HEIs. There are over 700 colleges and other institutions in the UK which do not have degree awarding powers, but which provide complete courses leading to recognised UK degrees. Courses at these institutions are validated by institutions which have degree awarding powers. These other providers of higher education programmes may use other institutional titles such as ‘college’. The use of such titles is not regulated by law.